Approaching the end of my senior year at Cooper Union for the Advancement of Science and Art, I was mentally and emotionally drained from 8 years of fine art education. My bachelor’s studies felt like a grueling marathon throughout which I had to constantly prove my brilliance to my peers and professors. Sometimes I succeeded, either by managing to approximate the aesthetic that was celebrated there, or by ignoring it, and making something more intimate and personal, which was appreciated for being different. But for the most part, I was exhausted by the competition, and no longer intending to be an artist after graduation. I began to view more cynically my path into art. I recalled the intense social anxiety that accompanied my move from private Jewish school to public school in 5th grade, and my discovery that drawing could get me praise. The popular girl asked me for a drawing of Garfield, which I made lovingly, that night. I entered the “art major” program in elementary school, and from there it was a snowball of positive feedback and increased mastery. 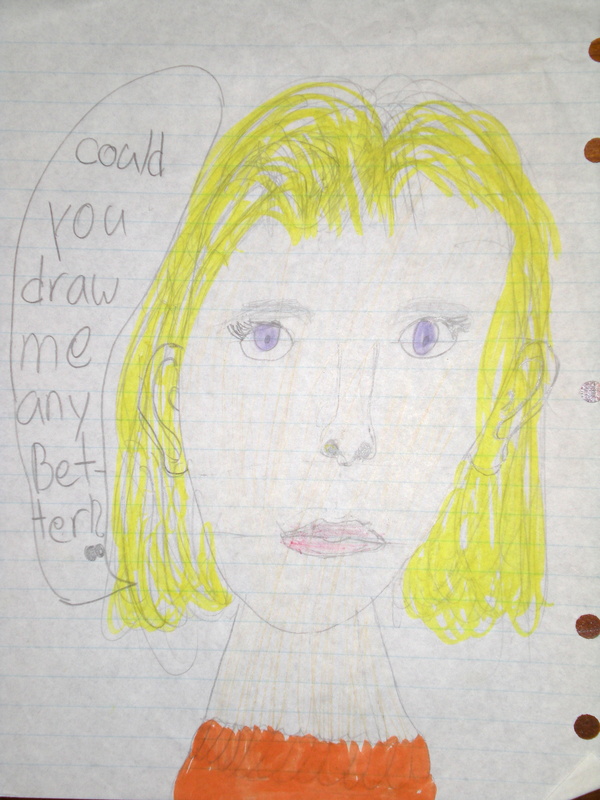 As art came to define me, the humble beginnings of my talent were quickly forgotten. Until senior year of Cooper Union. Having identified my creative drive as essentially a weakness of character, I formulated a new aspiration as I approached graduation: to finish art school and live like a “normal person,” without the emotional crutch of art-making. However, I still had a few months left in the institution, and several assignments looming. One of them was for a favourite professor of mine, Lisa Lawley. I came up with a kind of performance art piece as my final project. Testifying to her flexibility, I don’t even remember what class I was in with her- it might have been advanced drawing, but it definitely wasn’t performance art. This is what I did: posted fliers around school advertising free help to anyone who wanted an extra hand on an art project. I did about eleven such jobs, and they ranged from carrying equipment through the streets of NYC, to painting in delineated shapes on large sheets of paper. I was satisfied that I had invented a framework in which I could get class credit for basically menial labor bringing other people’s ideas to fruition. I documented all these jobs in photos, and made a slideshow to present to Ms. Lawley’s class. “My Last Art Project” was a big success. It posed tough questions about authorship, and the preeminence of concept over execution in modern art. I also told the class of my plans to try living life like a regular person after graduation, and getting fulfilment from regular accomplishments. I remember Lisa probing me about my plans, but she ultimately gave me a good grade, and I finished art school. Then I stepped into the story I had told. Living back at my parents’ house, I didn’t touch art for a whole year. During that time, I finally started doing check-ups to figure out why I had hardly menstruated for several years. My boyfriend of over two years, the one who had urged me to go to the doctor, ended our relationship. I had very disappointing and frustrating setbacks in some editing work I was doing for my parents. Doctors began telling my parents I was probably anorexic. 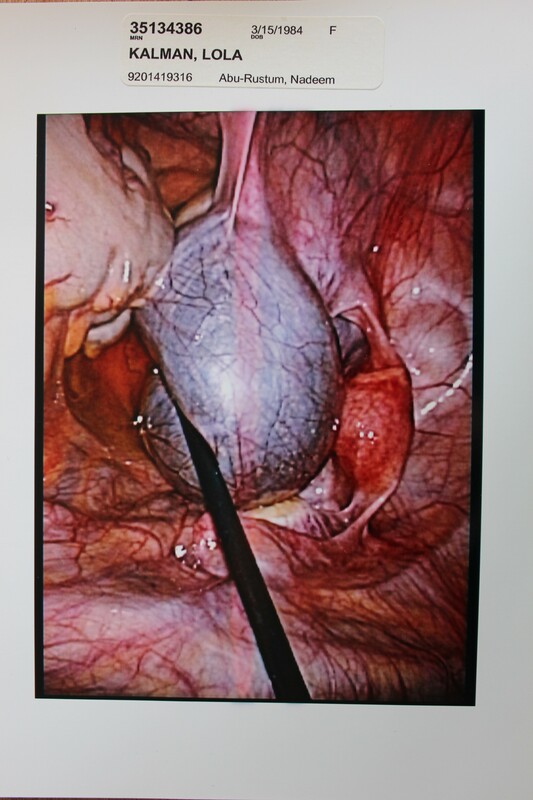 A huge cyst was discovered in my ovary and I underwent surgery to remove it. The “real life” I had been so anxiously awaiting shaped up to be the darkest year of my life. I had lost my faith in myself and in a Bigger Plan. Objectively, the pitfalls I was facing were not so devastating, but coming all together, and without an outlet through which to express them, to inject meaning into my experiences, it was exponentially more daunting. I realised that, regardless of the true origins of my drive to create, that drive was what kept me alive. To pull myself out of this pit, I would have to make art. But this seemed harder than any assignment I had ever been given in art school. I had no constraints, but I had no inspiration either. When, during senior year, I had decided to stop making art, I had no idea how hard it would be to start again, if I ever chose to. This time, whatever I would produce would not be to satisfy a professor, or to manifest a brilliant idea granted from above, but to crawl on all fours and drag myself out the mud in which I had buried myself.